ROMAN REPUBLIC. 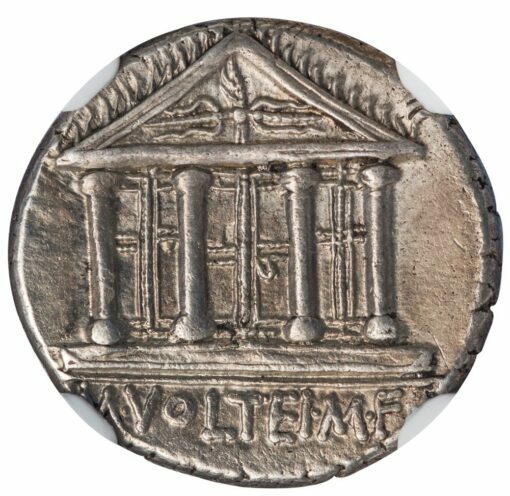 M. VOLTEIUS, 78/75 BC. Silver AR Denarius, 3.98 g., 17 mm. Obv. Head of Jupiter right. Rev. Tetrastyle facade of the Capitoline Temple. 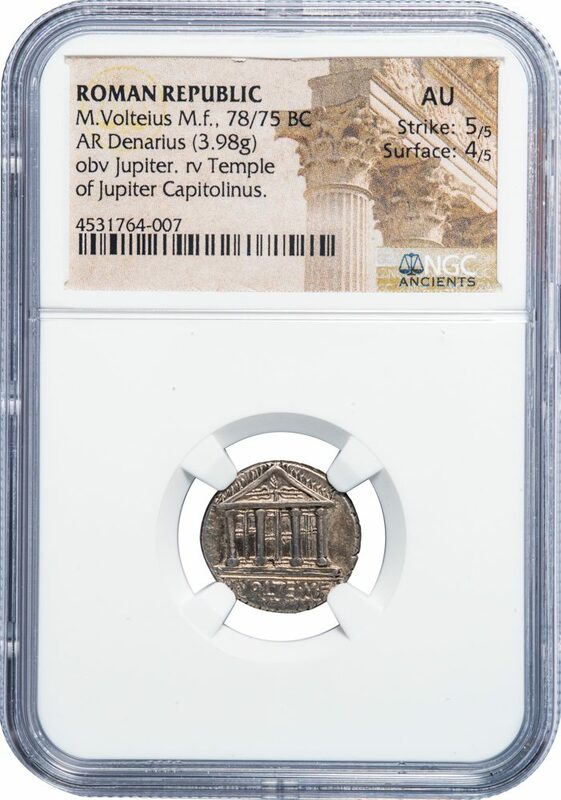 NGC graded AU, Strike 5/5, Surface 4/5, a great architectural type depicting the most important temple in Rome, that of Jupiter Optimus Maximus on the Capitoline Hill. Today, remnants of the temple’s podium can be seen in the Capitoline Museum in Rome.